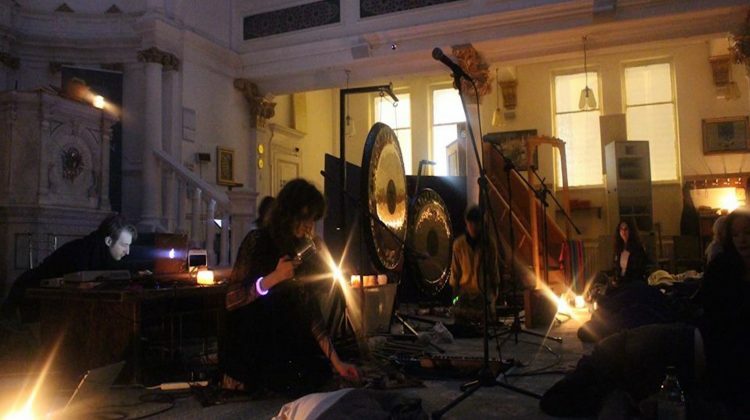 An invitation to a co-created ritual dissolving boundaries between audience and performer through voice activation, storytelling, light and the gentle plant medicine cacao. You will be guided to a safe space for authentic expression of the averbal, the intuitive, the raw. A higher space of presence and refined energy where the holistic wisdom of the group voice finds musical harmony in dissonance, and so forging a micro-community through improvised song. Voices uniting in ubiquitous sound, Hathor’s Rose Choir sing intuitively, with an inclusive aim of encouraging the audience to merge with the performance and too, find their way of liberate expression. Improvised and instinctive, this visionary project is like no other and invites connection, depth and discovery. This participatory performance is held in Dreamscape by Hathor’s Rose Choir who are trained and practiced in various therapeutic and mystic methods, as well being musicians, dancers, and storytellers who will use their artistic craft to catalyse the audience’s creative expression.